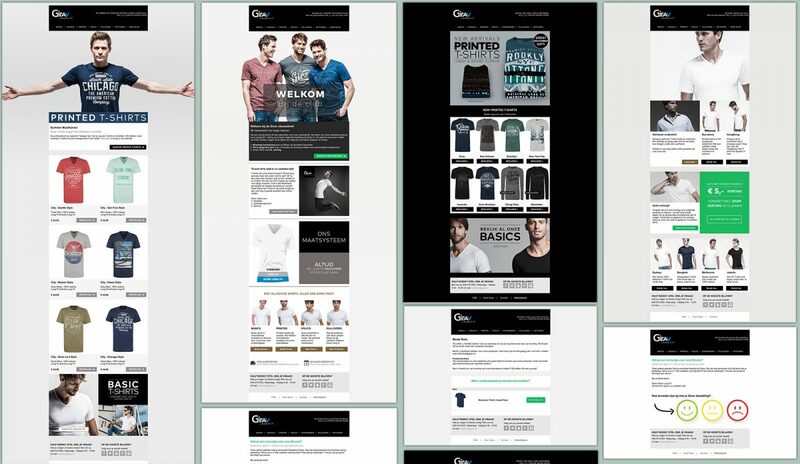 For Girav.nl I’ve created a very diverse mobile adaptive Email template. This template can be used for the vast amount of different emails Girav sends out on a daily basis. Like a weekly newsletter to the complex system mails, product review mails and order confirmations all triggered by Magento. This template also offers interactivity with background images (as seen in the first two examples).